Uniting to represent and support Texas long term care providers’ commitment to delivering quality care. Inspiring through instructing and engaging members, state leaders and all whose lives are touched by long term care. Promoting the value of long term care to our state’s aging population and to families and communities across Texas. The need for increasing funding for Texas nursing homes has never been more important than now. This session, Texas legislators will consider the Texas Nursing Home Quality Act (NHQA) – SB 1050. This game-changing legislation will reverse the trend of the state’s chronic under funding of long term care. 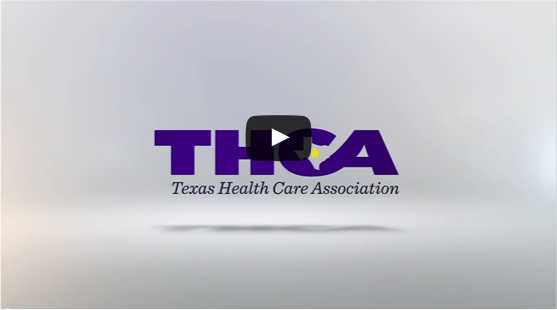 Take a moment to view this video and learn about the NHQA. We’ll soon be asking if you’re in to help us make this legislation a reality. Together, we can get this done. 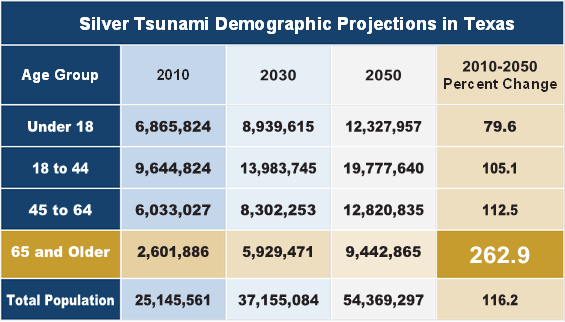 A Silver Tsunami of Baby Boomers is set to overwhelm Texas nursing homes. As Baby Boomers reach retirement, a perfect storm could overwhelm nursing homes: A surge in the number of aging Texans, known as the Silver Tsunami; a decline in family caregivers; and a long term care sector already deprived of adequate and sustainable funding. Safely reduce the off-label use of antipsychotics by 10 percent-or maintain a rate of 8 percent or less in long-stay residents, and maintain a rate of 1 percent or less in short-stay residents. Learn more about the skilled nursing goals at qualityinitiative.ahcancal.org. Safely reduce the off¬-label use of antipsychotics to a rate of 15 percent or less. Learn more about the assisted living goals at qualityinitiative.ncal.org. The Website for all your Long Term Care education and clinical needs! For instructions on how to register, Click Here! There are a limited number of facility licenses available, so don’t delay! DNAnexus Inc., and Sutter Health network have started a large-scale clinico-genomic multiple sclerosis research effort. 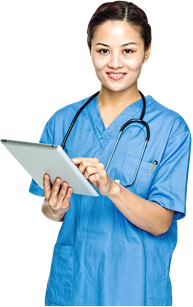 The post DNANexus launches multiple sclerosis study that uses EHR data appeared first on McKnight's Long Term Care News. Greystone has provided a $58.8 million HUD-insured loan to refinance a skilled nursing facility in Southampton, NY, the firm said. The post SNF receives $59M in financing appeared first on McKnight's Long Term Care News. Oxford Finance LLC announced the closing of a $96 million term loan to an affiliate of Summit Healthcare REIT Inc. The post REIT affiliate receives $96M in loans appeared first on McKnight's Long Term Care News. Lenbrook, a life plan community in Atlanta, has selected K4Connect’s K4Community for its residents and staff. The post Lenbrook chooses ‘smart community’ platform appeared first on McKnight's Long Term Care News. 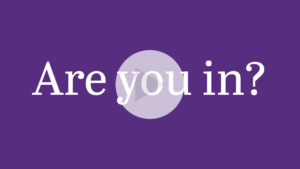 TimeSlips, a creative story telling program for those with Alzheimer’s disease and other dementia, has relaunched its website. The post TimeSlips relaunches website appeared first on McKnight's Long Term Care News.